This course is designed for anybody looking to make regular handling, grooming procedures and veterinary visits stress free for both owners and dogs. Prerequisites: Completion of Puppy Socialization or Foundation Skills. We regret we only accept our alumni for this program. This program is run on a “workshop” basis. Every first Sunday of the month at our Dundas West facility at noon it is scheduled and has capacity for four dogs. Students are allowed to work on areas of focus that are critical to them and their dog with our guidance. Instructor: Sara Russell, who is a certified by the Fear Free Pets initiative to assist veterinarians, pets, and pet owners in making veterinary visits a fear-free experience for everyone. Currently only at our Dundas West facility. Please take a look at our Dundas West class calendar and look for the next session in the calendar. 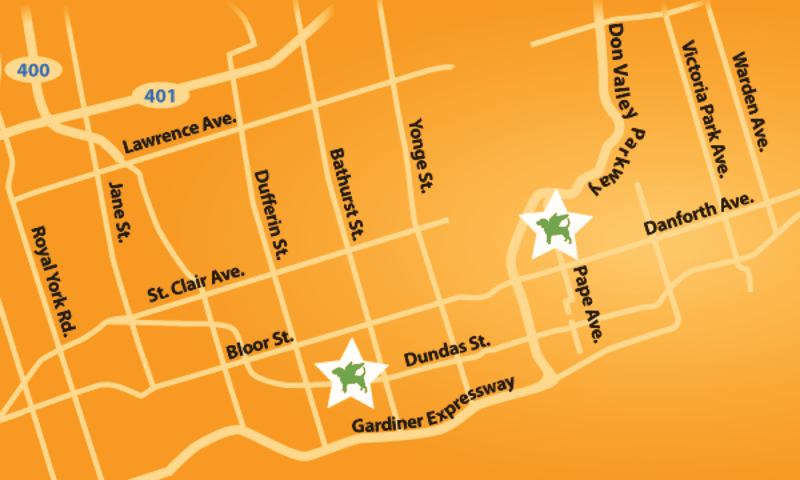 If you already have a login to the Dundas West calendar, simply use one of your class credits to book, or buy a single a-la-carte credit. If you are a Pape Village student, or alumni from many years ago, please contact the office to request a new Dundas West login.